Public Notice No. 16/2012 - Making E-payment of Customs Duty Mandatory - Reg. Public Notice No. 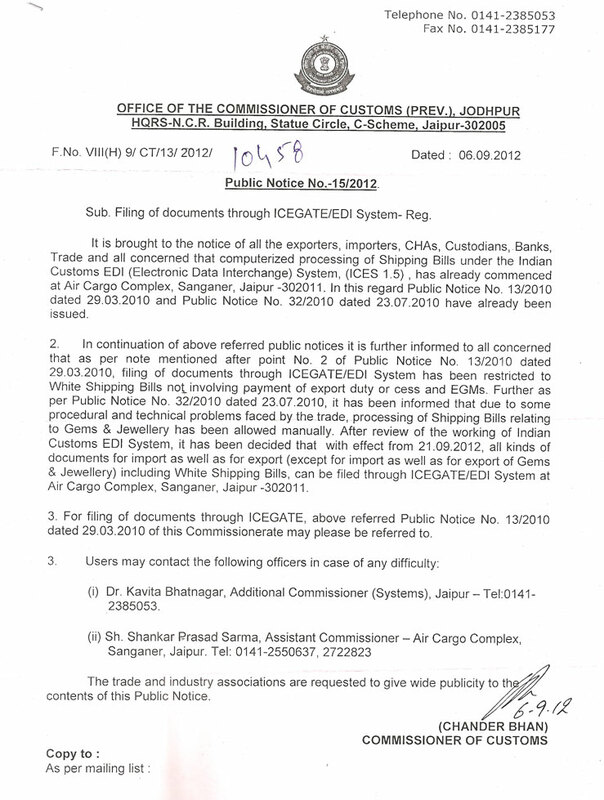 15/2012 - Filing of documents through ICEGATE/ EDI System - Reg.